It has been a year since the Galaxy Nexus phone was announced and now it’s high time for the new Nexus phone and other devices to be revealed in the upcoming Google Android event to take place on 29th October. It is now quite certain that the LG E960 aka LG Nexus 4 will be unveiled in the event due to the latest image and info leaks. Folks at @evleaks tweeted a picture of the device but it doesn’t look very charming. The phone itself is totally black and as its switched off, looks very depressing. They even shared the specifications of the phone, and according to them, the Nexus 4 will be equipped with Qualcomm Snapdragon APQ864 Quad Core Processor with 1.5 Ghz in speed and a 2GB of RAM. The phone will have a 4.7′ IPS display having a 1280 x 768 resolution. Moreover, the Nexus 4 will be having a 8 MegaPixel rear camera and a 1.3 MegaPixel front camera. The phone will be available in only 8GB and 16GB variants and weighs around 139 gms. The specs are very similar to that of LG Optimus G except that the Optimus G has a more powerful camera having 13 MP. The good news for those who will own the Nexus 4 smartphone is that it will be running on the latest Android JellyBean OS whereas the LG Optimus G runs on the previous version, Ice Cream Sandwich. If LG partnered with Google, why is the Optimus G running on ICS ? They could have easily provided the customers with the latest OS Jellybean adding more value to the phone. Maybe the picture that @evleaks posted isn’t what you expected the phone to be. No problem. A Belarusian site, Tech.Onliner got hold of a Nexus 4 prototype and have posted quite good pictures of it and also have written a review on it ! By seeing this pictures, you might change your mind ! So you think Google will only be unveiling this product ? Think again. Google has new plans on its table and one of which is working with as many as five manufacturers to release the next generation Nexus Phones and Tablets. Get ready to get more news and most importantly RUMORS and LEAKS regarding the upcoming Nexus devices. 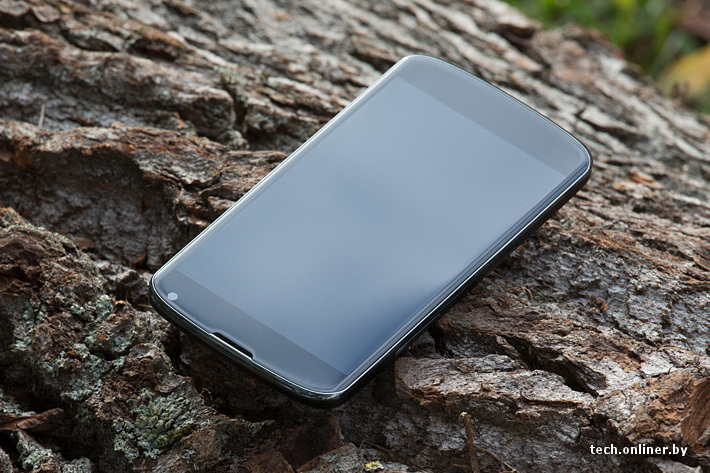 How do you like the Nexus 4 ? Would you buy it once its out ? Hello Paul ! Yes the galaxy line is ran by Samsung, no doubt about that. LG is not releasing a Galaxy title phone but only as the LG Nexus 4. The Sony Nexus which created a great hype was the fake one and the photos posted above is the prototype of the Nexus 4.